So, you need to have a new car key made? You are probably wondering exactly what you can expect to pay for that. The thing is that question and the answer are more complicated than you might realize. There are many different factors involved in the cost for the copy of a vehicle key. While it may seem as if this is something you would rarely need to know, having an idea of the cost before you are in a situation to need it can be extremely helpful. It may surprise you to know that the cost of having a duplicate key made is going to vary depending on where you go to have it done. You can certainly head to the nearest local hardware store and ask someone to make you a duplicate key. This can go well, or it can go a bit less well. In many cases, the employees in these shops are not trained and experienced in making keys. 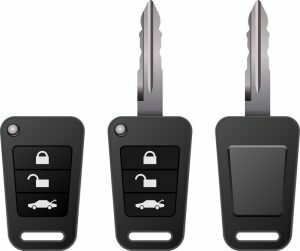 If you instead choose to visit a locksmith or a dealership that carries your car model, you will have access to professionals who know how to duplicate keys, along with other things like remotes and key fobs. This plays a lot into the cost you pay. The hardware store employee may be a lot cheaper, but you also may not get a key that’s quality. An experienced locksmith is probably going to be a little more expensive, but they have the training and knowledge to ensure you get the best result. Another thing to consider is that a locksmith has many different types of key blanks and other materials. The hardware store probably has a few, but likely not more than that. In addition, many of those blanks are going to be for other products, not vehicles. When you copy the vehicle key, another aspect that determines price is what sort of car you drive. The reason is because different models of car use different blanks. Sometimes they will be fairly inexpensive, other times they may cost a bit more. An older car is likely to be affordable while a luxury car with extra features needs a more expensive blank that can accommodate all of the extras. You can do a little research online to get an idea of the cost for your make and model of car. Your car manual will also have this type of information. This is important for determining whether you want a duplicate key or a replacement key. This is largely based on whether your key is basic or has other bells and whistles such as remote parts, transponder chips, or key fobs. With a more advanced key, duplication can be harder, and replacement may be necessary. Another component of pricing for your copy of a vehicle key is what type of machine is used to make it. A more modern, technologically advanced machine is going to influence the time it takes to cut, how precise the cuts are, and how complicated the actual duplication will be. In short, a more advanced machine may lead to a more expensive key simply because it is of a better quality than that from an older machine, like you might find in a hardware store down the block. Local Hardware Store – Somewhere like this will often duplicate your key for no more than a dollar or two. It’s cheap, it’s quick, it’s easy. The problem is that most of these stores can only duplicate the most basic keys. If that handles your situation though, this is by far the most economical option. Locksmith Shop – A basic key will cost a bit more at a locksmith on average, but you can expect to pay less than $5. However, there will be a larger assortment of key blanks available which makes it much more likely they can do the job that you require. Additional Features – Also at a locksmith, keys with things like transponders or chips are going to cost quite a bit more than a basic key. You can expect to pay at least $100 and likely more. The price is going to depend on what type of key blank is used for the key that operates the vehicle that you own. Dealership – Another option is visiting the dealership where you purchased the car. You will find the same professional service there that you would at a locksmith shop. However, their prices will often be higher than the locksmith for the same item. They also often do not replace simple keys. 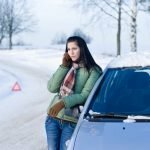 For those of you who have a car with a transponder or remote, there will often be an additional cost to program the device. If your key would cost around $120 without programming, the final cost at a locksmith would be somewhere between $150 and $200. It would be slightly more expensive if you were to choose to visit a dealership. The truth is that key duplication can be quite cheap if all you need is a simple cut done. However, the price can increase drastically if your vehicle key has additional features that makes your life easier. By reading this article, you should have an understanding of the difference between duplication, replacement, and programming. 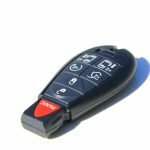 With that knowledge and the base numbers provided above, you will have the information you need to make an educated decision the next time you need your car key duplicated. Hopefully that won’t be any time soon!